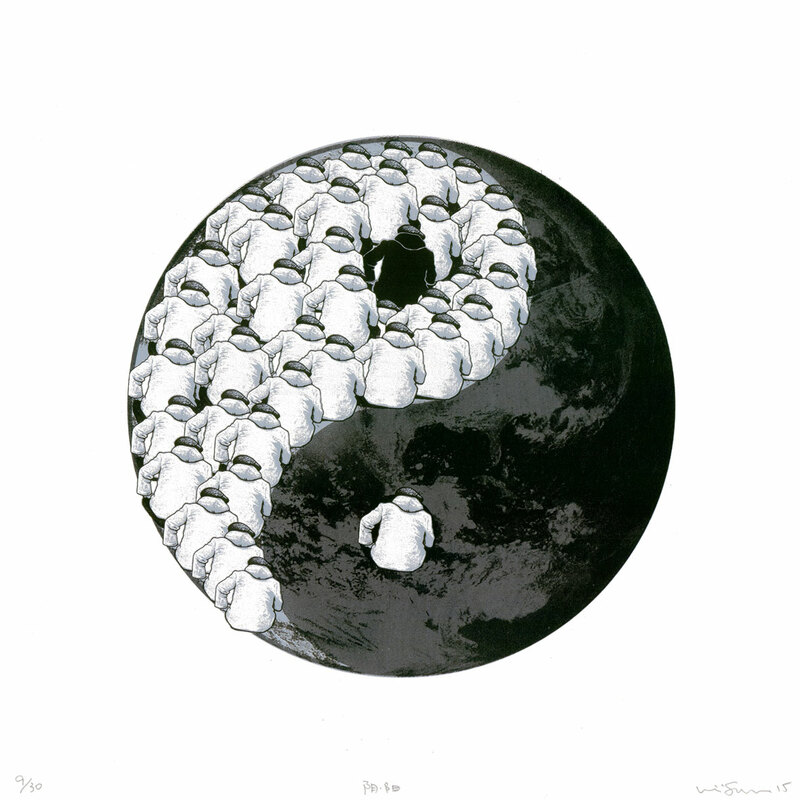 Tale of Two Cities is a new collaborative screen print exhibition series initialized by IdleBeats. 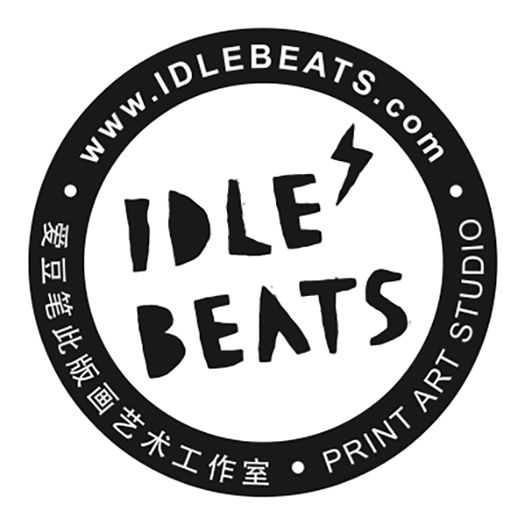 Every episode in this exciting series will feature the latest prints of two studios: IdleBeats (Shanghai) and an international one from the worldwide print art family. 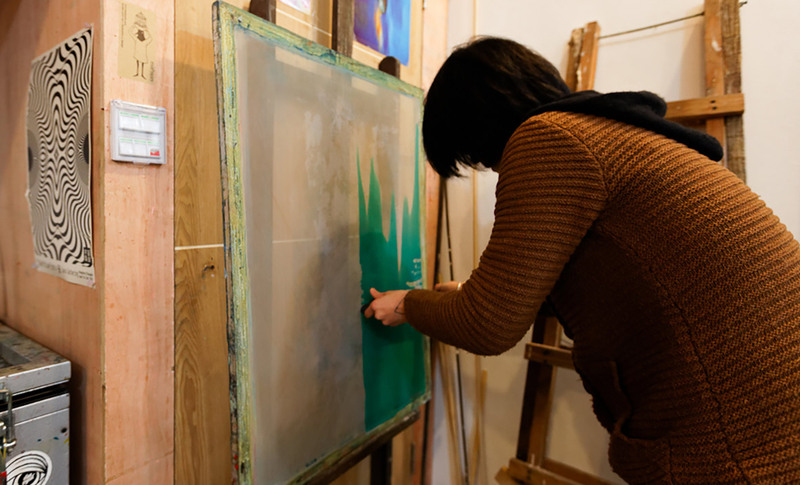 Persistence, consistency, innovation, and the free expression of ones’ own local culture are the common qualities shared by all of the artists participating in the series. 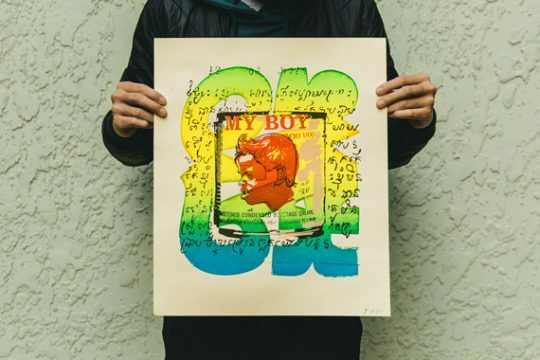 In the first episode of Tale of Two Cities, IdleBeats will be partnering up with the well-known and beloved serigraph pioneers FrenchFourch from Paris, who will be presenting a line of their classic street art posters. 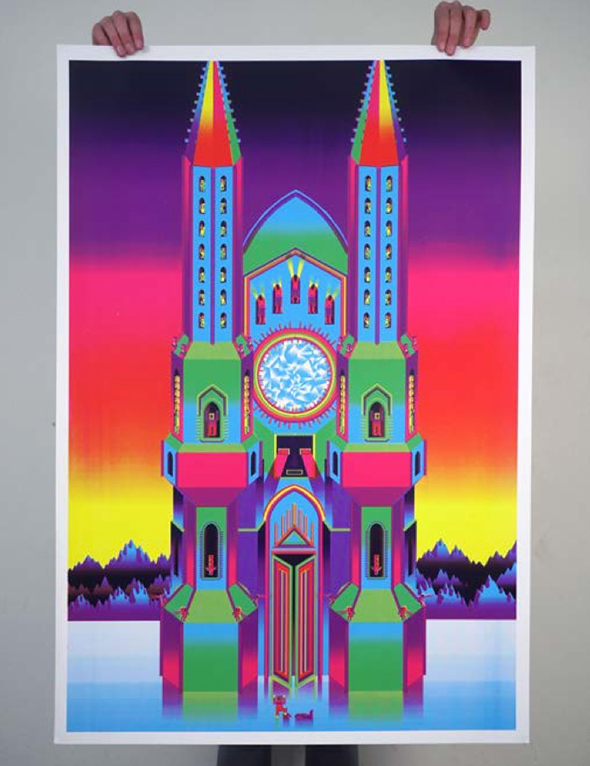 The visual style of this series ranges from psychedelic illustrations to mysterious cult imagery. 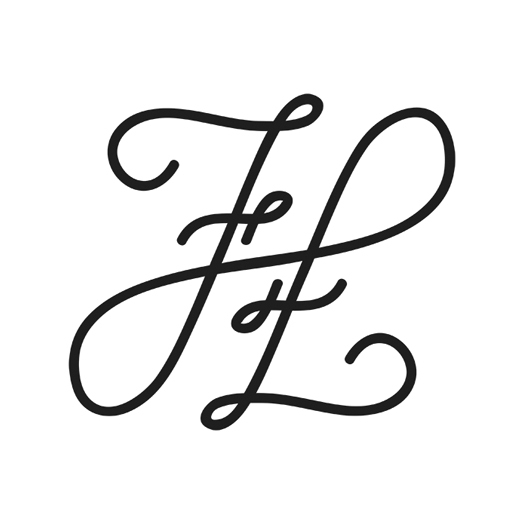 Established in 2007, Frenchfourch is a renowned community of artists in Paris. 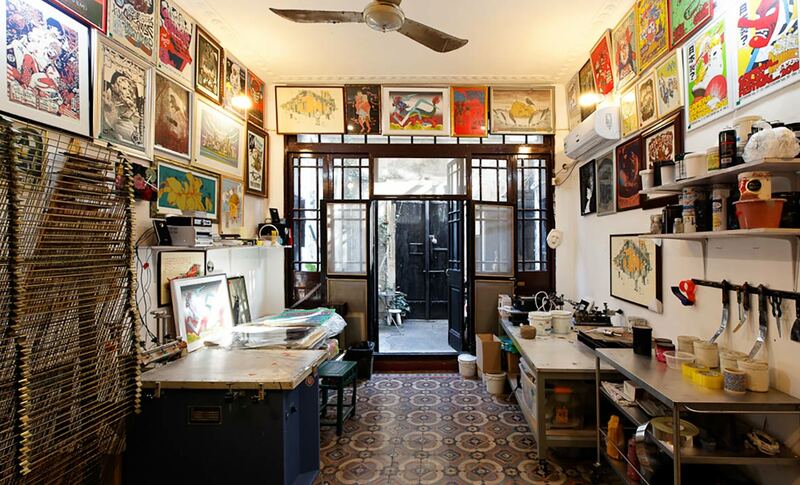 They are also a printing laboratory specializing in the production of books, art zines, textiles, and posters. 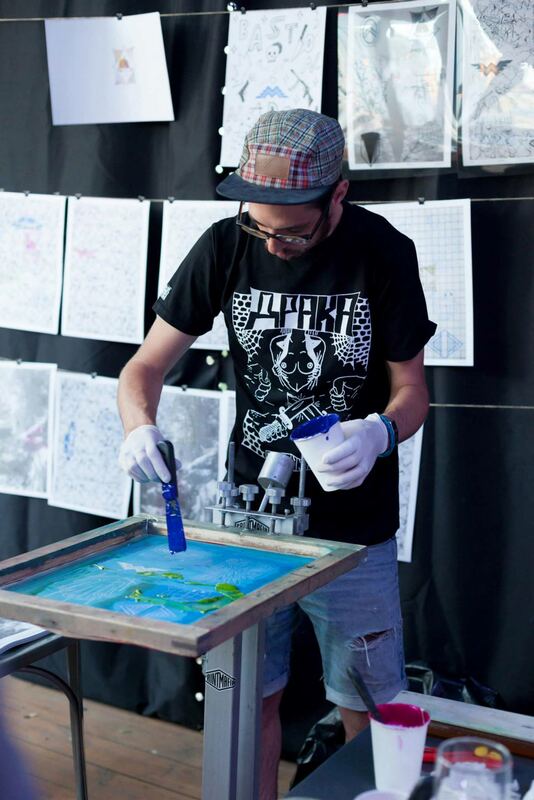 Their group additionally function as an editorial team, dedicated to showing the work of new emerging artists. 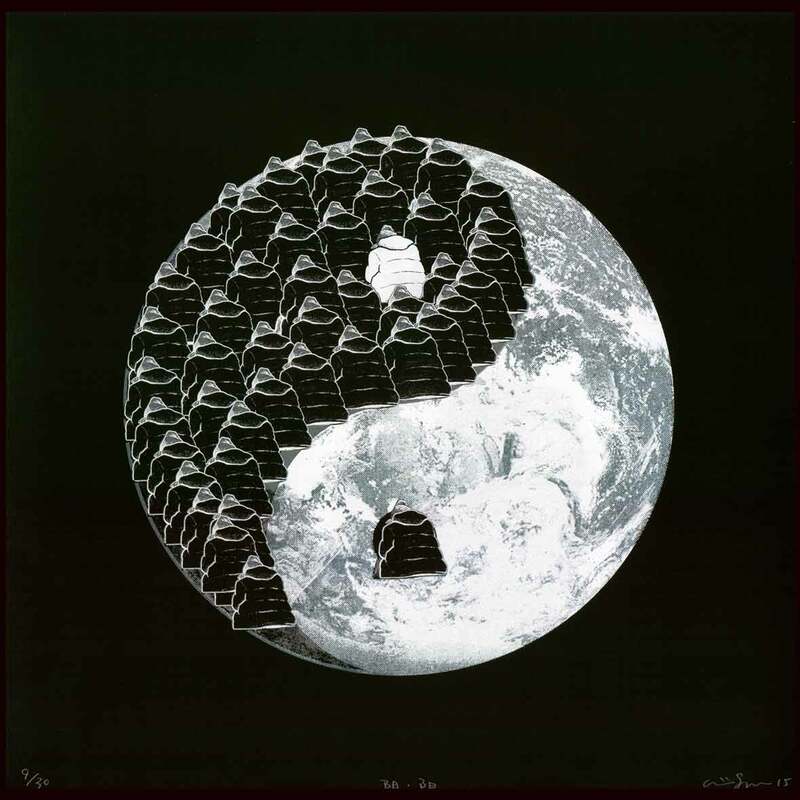 Frenchfourch will from time to time organize group exhibitions too, partnering with artists and galleries around the world. 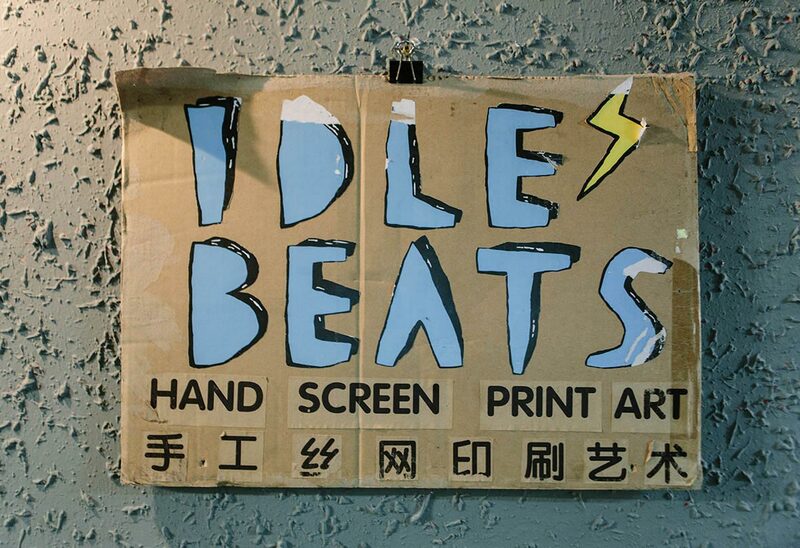 IdleBeats in Shanghai are an artist duo who function primarily as a print art studio. 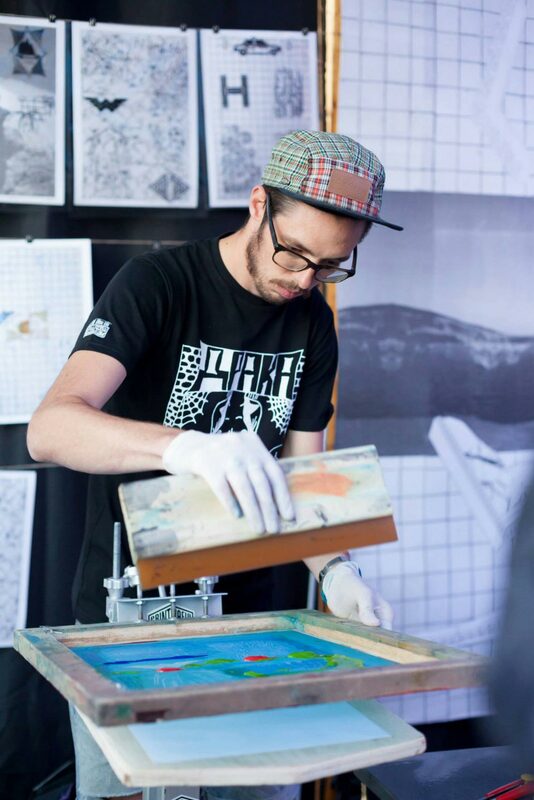 They create original screenprinted art, installation art, music posters, and brand crossover projects. 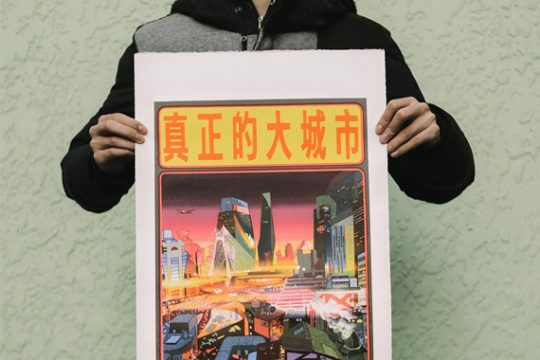 The pair have become well-known within the Shanghai creative circles and beyond, for their psychedelic and distinctive visual style. 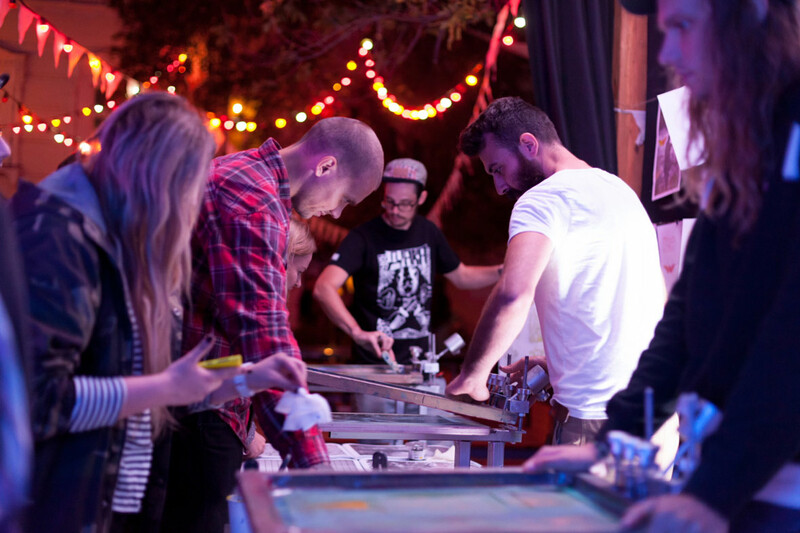 In addition to their print work, they have also been doing innovative live screen printing show and workshops since 2009. 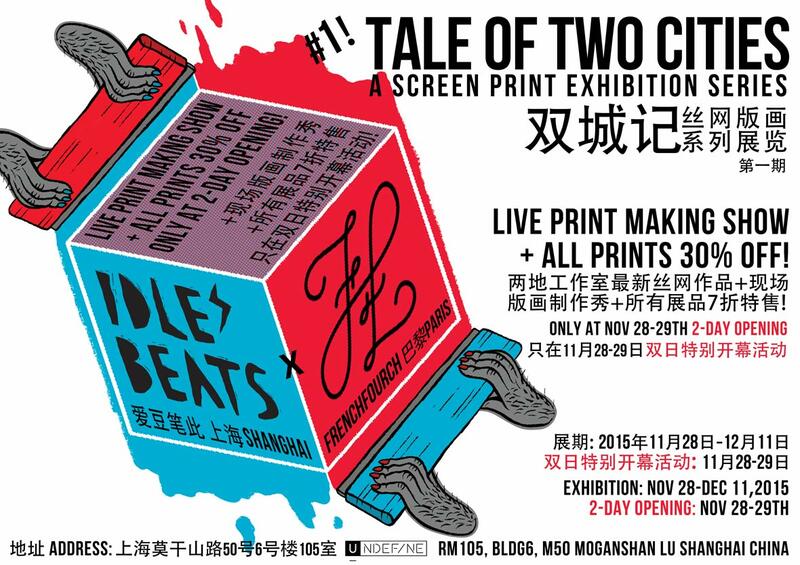 At the special two-day opening of the Tale of Two Cities exhibition this upcoming weekend (Nov. 28-29) at UNDEF/NE, IdleBeats will be creating an experimental installation with live screen printing. The whole process will span two whole days, so visitors should be able to witness a unique phase of the project at any given moment over the weekend. 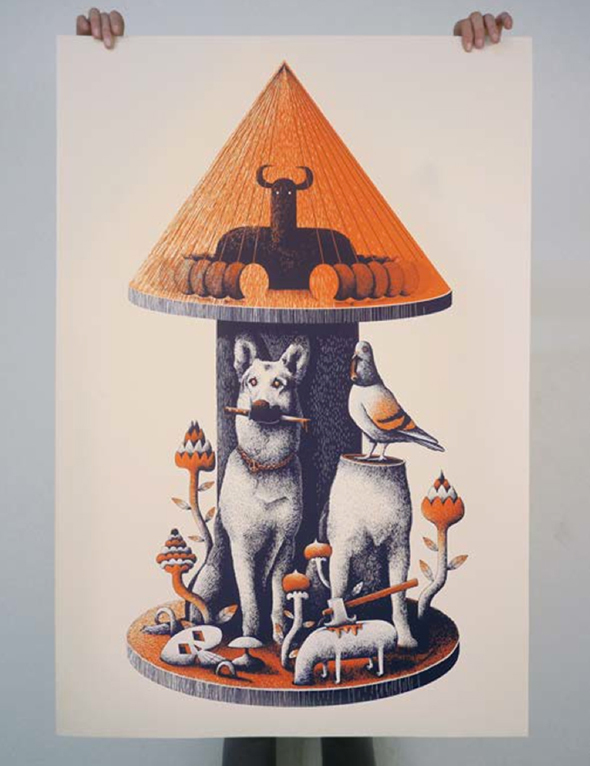 IdleBeats will also be showing 20 fresh new art prints, one series each by Gregor and Nini. There will be a special 30% discount for those attending the two-day opening event at Shanghai’s UNDEF/NE! 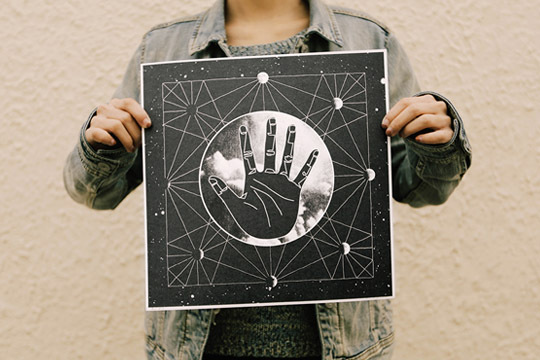 Stay tuned over the next few weeks to find out more about these new prints. 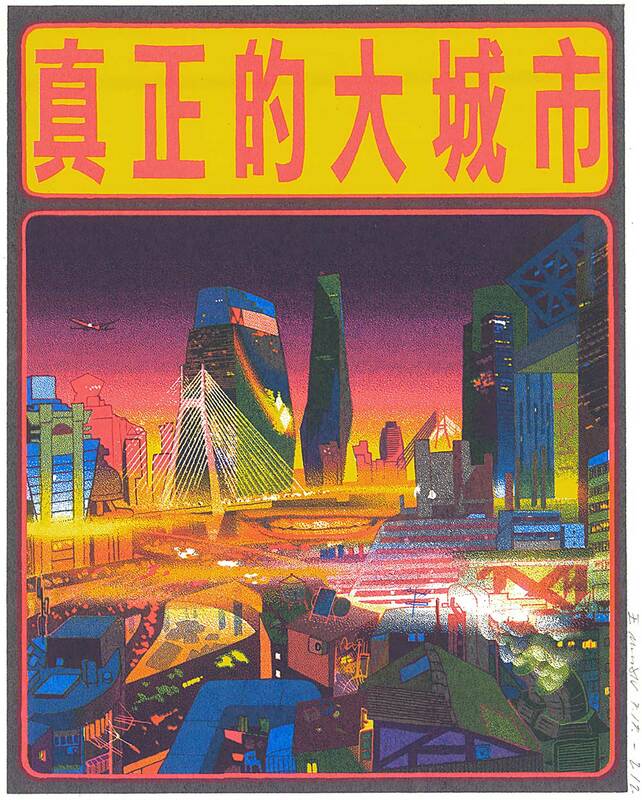 If you are unable to attend the Tale of Two Cities show at UNDEF/NE in Shanghai, there will be exclusive offers to buy the prints directly from the Neocha Shop!